"I have done multiple transactions with Neelam. She is one of the best realtor I have come across. She is always available to answer any questions. She has the patience to listen and help with any questions. She is well connected with so many people who could assist us in answering not only realty questions also anything about the house whether it be plumbing, structure or financing the home. She has built a team around which helps the home buying or selling a very easy process. I was very happy with all my purchases through her. I highly recommend Neelam. " "We recently sold our home and bought a new home with Richmond American. Neelam helped us to settle down both of these transactions. She took care of each and every detail from the beginning to all the way closing. She has great passion to help clients. She even took care of renting home for us for couple of months as our new home was not ready to move-in by the time we closed on our old home. The best of all she was available on phone, IM and email any time of the day until late night if we had any questions that can not wait for the next day. I highly recommend Neelam if you are looking for a reliable and dependable realtor. She is one of the best in the town." "Our special thanks to Neelam and her team for the wonderful job you have done on the House Buying process. We had only a vague notion of what we needed but her enthusiasm and expert advice made it happen in the real world. We specially appreciated her expertise to educate us about real estate process. The extra time and effort she put in were certainly worthwhile. It was a joy for us to work with such dedicated and talented personnel. We will certainly recommend she and her team for any potential buyer requiring Real Estate projects. We thank her once again for her dedication and we are proud to have her as our inspired realtor." "I have no words to describe how I am feeling after I heard about the final approval of my loan. It was really hard condition we were going thorough but because of her it became possible. Me and my family really appreciated for that all she did for us. We want to heartily thank her for her precious time and wonderful help." "Words cannot describe how lucky I have been to have worked with Neelam shrestha on my recent home purchase. I would highly recommend her to everyone. I was a first time buyer and Neelam guided me through the entire process with such care and professionalism. I was very new and had null knowledge to all of the paperwork and the process. She understood the importance of getting me in my first house and followed up on ALL angles possible to ensure that I would be able to attain the new home J. She kept me informed, educated me on the process, and continues to follow up with me to this day. I can't thank her enough for the countless hours, meetings and phone calls. Neelam always gives 101%. She is all about integrity and excellence. Extremely detailed and patient and on top of all things from start to finish. I really can't imagine getting any better service than this nor will I ever look elsewhere. If you want to be part of a winning team, you can with Neelam Shrestha. She is undeniably the BEST at what she does." My name is Sonia Joseph. Word's can't really express what an amazing job Neelam Shrestha has done for us selling and buying our property. She has a personal touch with the services she provides. She has always made us a priority. She goes above and beyond the call of duty. She is honest, hardworking, and genuine. And in this day and age it's hard to find people like her. She has always been only a phone call away. I highly recommend her services. We just bought our home and she is the best broker, she listen your need and requirement , also gives you good advice on which property is good or worth it for your lifestyle,she is very responsive , she helps you in every step till the closing and even after that , I am glad we had her and will recommend to others as well . Thank you neelam Shrestha. Realtor is her profession but humanity is her passion, the quality that can be seen rare but if truly applies to someone, then it is Neelam Shrestha. She is one of the best Realtor we have known both professionally and personally. Some of the qualities that we came to know about her since from the time we have purchased our house with her, is that she is very knowledgeable, helpful, cooperative, understandable, and thoughtful. We first encountered with Neelam, while we were looking to buy a house. since, from that time to until now, our relation continued and developed from professionally to personally. Whenever we need any suggestions or help, we always seek her for help and she is always there no matter what. We heart fully like to thank Neelam for your generosity, help and support and making us succeed in becoming a home owner. One of the best, knowledgeable and friendly broker that I know of. The best thing about her is she listens to the customers need first and goes about the business. Everyone knows we are here to make money but there are only a few who put customer satisfaction first and she is one of the few that I have come across. With her, it is not about closing the deal and get over with because she is with you for a long time to come. She builds a trust and relationship with the customer. She is highly recommended to anyone looking to buy a house. Thank you Neelam Shrestha for being like an extension to our family long after closing the deal for the purchase of our house. 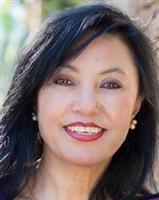 Neelam Shrestha is a very knowledgeable and well skilled broker. She always recommends all the necessary things for us which we will find beneficial later on to maintain our homes. She is so friendly with her clients and listens her client's needs too. I strongly recommend her for future buyers.